It’s not a cactus but it sure looks like one. I saw these huge six-feet tall Century plants in Florida and they were practically on every street corner. And most of them were a pretty blue-green color which is normal for the variety I was seeing. 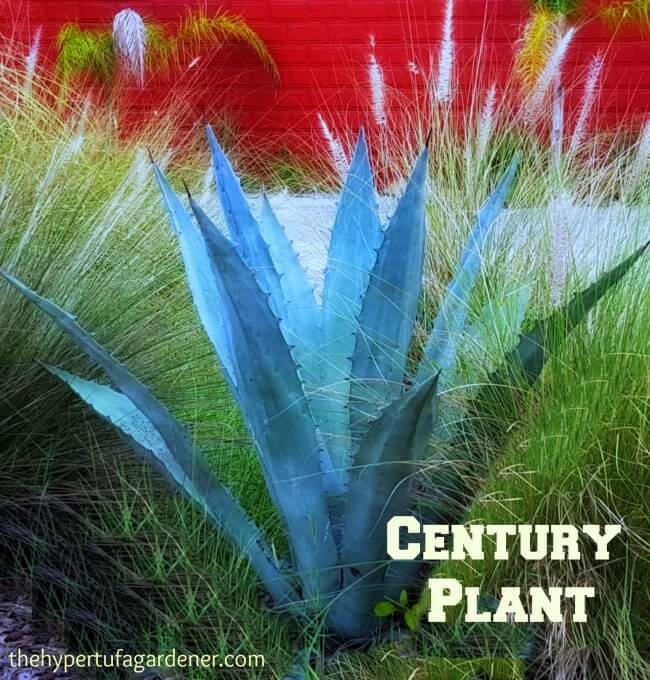 These century plants resemble an aloe but they are not aloes. Or cacti. But they do have thick succulent leaves (and you know how much I like succulents and sedum) which have sharp spines along the edges of the leaves with a sharp “stinger” at the end which could possibly pierce your skin down to the bone. Guess that keeps animals from munching it! 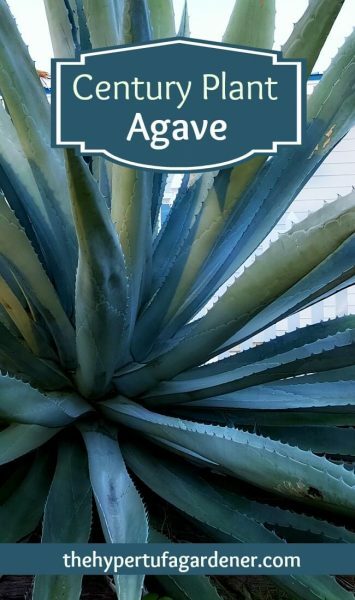 The true name is Agave americana, but there is another variety called the Blue Agave or Agave tequiliana. It is from this agave that we get tequila. 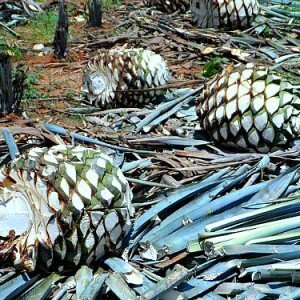 To make the tequila from this plant, all the spines are chopped off and there remains a pineapple-shaped heart of the agave which is roasted to extract the liquid. And here is the sweet nectar used to make tequila, sweeteners, etc. Rows and rows of these are grown and harvested to supply us with this nectar. Hard work, right? Check out this short 2 min video of a man using a simple tool to cut out the heart. It must be so sharp! Hard work, right? Look at those rows of agave! This plant has the nickname of century plant, but it doesn’t live for a hundred years. Usually it lives from 10 to 30 years and will only bloom once and then dies. It flowers at the top a long stalk that shoots up from the center of the rosette. That stalk can be 25 feet tall with fragrant flowers and is attractive to bats and birds. 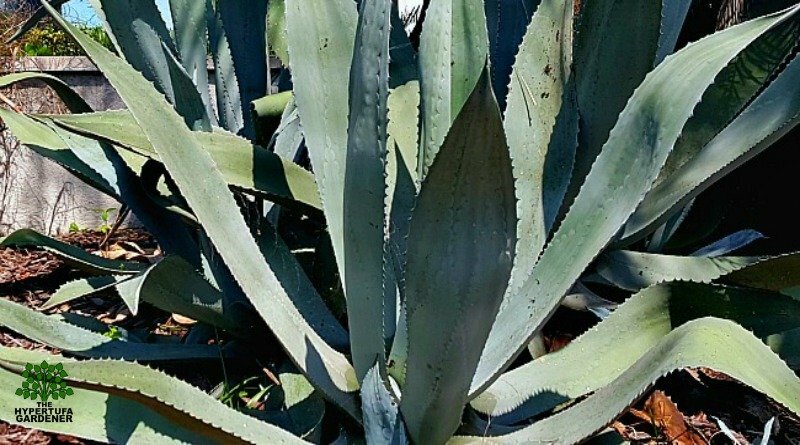 Agaves are very fibrous plants and some varieties are cultivated for those stringy fibers which are made into ropes and cords. This agave is said to be native to Texas and grows in dry or gravelly soils. It does naturalize in good conditions. 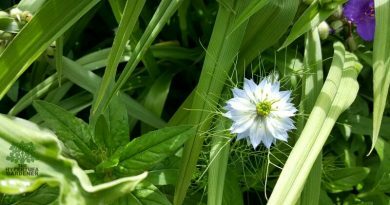 Even though it blooms just once and dies, it produces offsets all around the base of the plant so it will continue. You can remove the offsets and replant in another location. It seems to get a little messy looking to me when too many are allowed to grow in one space. 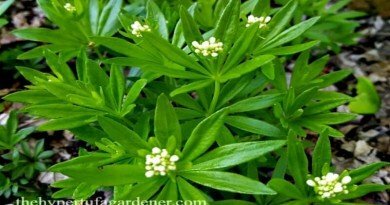 It is better as a specimen plant. I don’t think this is a plant that I would want in my garden or yard even if I could grow it in Ohio. 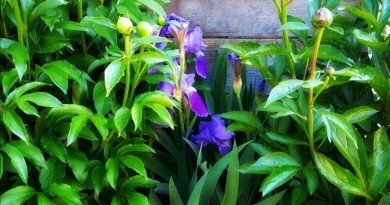 It is rated for zone 9 and supposedly can live down to below freezing temperatures. But I don’t think I want a plant that I could “spear” myself upon. Agaves are in the same family as the yucca which does grow around Ohio, but I don’t like that plant either. I like the flower up close, but not the plant. 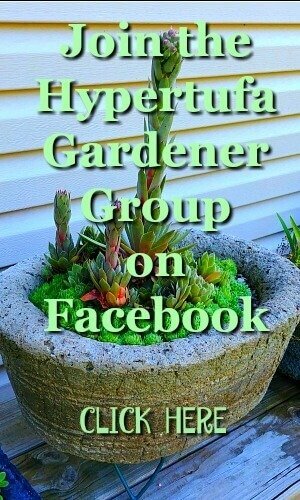 It is extremely drought tolerant but slow-growing. Supplemental water in dry summer months will make it grow faster, but care must be taken not to overwater, especially in clay soils, because too much moisture will cause the roots to rot. Remember, it is a succulent. And I love succulents, especially ones that grow in a rosette! Maybe that’s why these Monsters fascinate me. 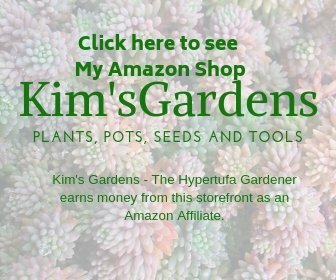 ← Transplanting Perennials -Going Against The Rules! It Worked! 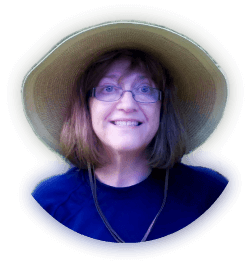 Time for Another Video Visit!